**Wereleper (The Leopards Unleashed Series Book 1) by Dina Haynes. Price: Free. Genre: Steamy Leopard Shifter Romance, Werewolves & Shifters, Paranormal & Urban. Rated: 4.5 stars on 55 Reviews. 281 pages. ASIN: B00JEUI8EC. Paranormal Romance, Free Kindle Shifter Books for Wednesday Evening! ***More Wicked Alphas Collection by Michelle Fox. Price: Free. Genre: Steamy Paranormal Romance Box Set, Vampires, Werewolves & Shifters. Rated: 4.7 stars on 126 Reviews. 197 pages. ASIN: B019MDPFNM. A Tiger Menage Mating by Rebecca Elyon. Price: Free. Genre: Steamy Tiger Shifter Romance, Science Fiction, Women’s Fiction. Rated: 4.6 stars on 15 Reviews. 310 pages. ASIN: B01EQMYBA2. *(Box Set Deal, Not Free) Magick After Midnight: A Paranormal Romance Novella Collection with Witches, Vampires, Shifters, Faeries, Magic, and More! (Deal, Not Free) by Rebecca Hamilton, April Aasheim, Emily Walker. Price: $0. 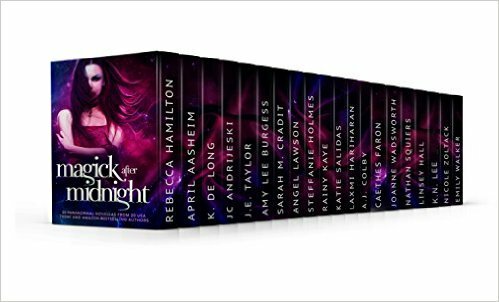 Genre: Paranormal Romance Novellas Box Set Deal of the Day, Sponsor, USA Today Bestselling Authors, 20 Novellas, Witches & Wizards. Rated: 4.8 stars on 30 Reviews. 950 pages. ASIN: B01CV92PCI. 10 USA Today Bestselling Authors. 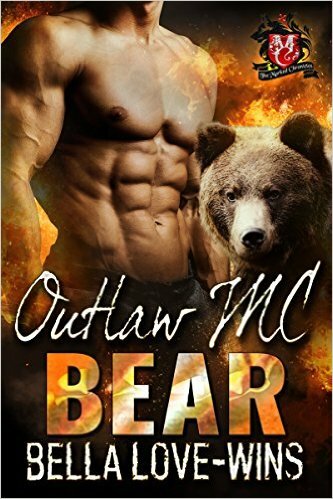 Posted on April 27, 2016 Author KibetCategories Paranormal Romance, Shifter Romance Free Books KindleLeave a comment on Paranormal Romance, Free Kindle Shifter Books for Wednesday Evening! A Highlander’s Fire, Free Kindle Tiger Shifter Book for Tuesday Evening! Posted on April 27, 2016 Author KibetCategories Paranormal Romance, Shifter RomanceLeave a comment on A Highlander’s Fire, Free Kindle Tiger Shifter Book for Tuesday Evening! Free NY Times & USA Today Bestselling Author Dragon Shifter Romance for a Fantastic Weekend Reading! ***Fighting For Her Dragon (Dragon Guard Series Book 7) by Julia Mill. Price: Free. Genre: Steamy Fantasy Romance of the Day, Werewolves & Shifters, NY Times Bestselling Author, Paranormal. Rated: 4.8 stars on 131 Reviews. 173 pages. ASIN: B00WQ4P94K. NY Times & USA Today Bestselling Author Julia Mill. Posted on April 22, 2016 Author KibetCategories Dragon ShifterLeave a comment on Free NY Times & USA Today Bestselling Author Dragon Shifter Romance for a Fantastic Weekend Reading! ***Barbarian Prince: Dragon Lords Anniversary Edition (Deal, Not Free) by Michelle M. Pillow. Price: $0.99. Genre: Steamy Dragon Shifter Romance, Sponsor, NY Times Bestselling Author, Science Fiction, Paranormal, Fantasy. Rated: 4.2 stars on 113 Reviews. 508 pages. ASIN: B00JSAB49Y. NY Times Bestselling Author Michelle M. Pillow. Reviewers love it: Astounding! I love this author and I love dragons! This expanded anniversary edition is even better and hotter than ever! I devoured it within a few hours! I cannot wait for the next books in the series to throw myself headlong into!